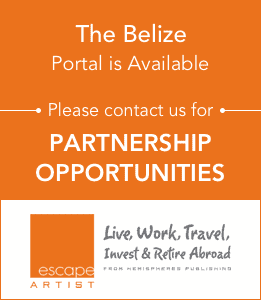 In 1999, the Belize House of Representatives passed the Qualified Retired Persons Incentive Act, aiming to attract retirees to the country. The Qualified Retired Persons (QPR) program does not expect one to be retired or even at retirement age, they just have to meet the requirements. To qualify, a person must be forty-five years or older and must be able to deposit at least $2,000 from a pension, annuity, or another acceptable source into a Belizean bank. Spouses and children (under the age of 18 – older if attending university) benefit as well. Do you just want to try it out for a bit? Get a visitor card. These are easily obtained and are only a month-to-month commitment. You obtain one when entering the country, and after 30 days, simply go to an immigration office and renew your card for US$25. 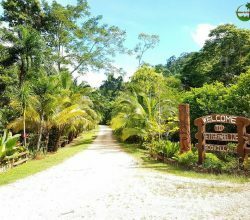 The cost of living in Belize is significantly lower than many U.S. retirement destinations. In the city, a one bedroom apartment can be as low as $314 a month, while a three bedroom apartment can be as low as $600 a month. Prices drop around 25 to 35 percent when leaving the city. This is a tremendous difference from the almost $1,300 per month on average one would be paying for housing in the U.S. If you choose to live in an area such as San Pedro on the Ambergris Caye, the main form of transportation is the golf cart, so no need to worry about buying a car when you get there. Bikes are another viable option for getting around town. Whether you want to have an active retirement or would like to spend your days lounging on the beach, there is something here for you. 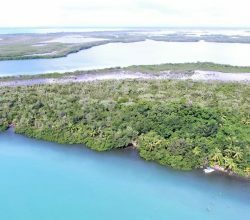 Water access allows for boating, scuba diving, snorkeling at the Barrier Reef, and swimming. There is always something to discover, and with thousands of species of trees and flowers, you’ll never get bored trying to find something new. There are many mountains, waterfalls and rivers, and even Mayan ruins and temples. There is also the added benefit of bordering Mexico and Guatemala for even more exploring. If you’re more into relaxing, the coastline extends around 175 miles along the Caribbean Sea. With more than 200 islands, or cayes, you will be sure to find a quiet spot to read a book or soak in the sun. 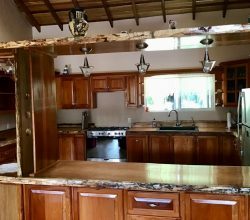 While Belize offers the benefits of getting out of the country and trying new things, one will never be too far from the comfortability of home. Because Belize is a former British colony, the language spoken and found on documents, street signs, and menus is English. Another convenience is that the U.S. dollar is accepted! 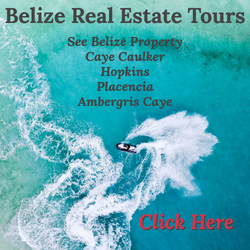 Almost every business will allow you to pay with your U.S. bills (not coins), and you may receive change in the Belize dollar, U.S. dollar, or a mixture of the two. With an exchange rate of two BZD to one USD, paying for meals and services with U.S. dollars is as simple as cutting a number in half. If you’re worried about leaving behind your favorite foods, don’t be. Belize offers a wide variety of favorites from back home, as well as some options that you may not be accustomed to. One can find fresh fruit and vegetables for reasonable prices, pizza, Italian cuisine, and even Thai food here. There are delis, bakeries, and ice cream shops with familiar favorites for you to enjoy. As I wrote this article, two ladies came into the office and offered us delicious bagels that they were selling from their bikes. Have you ever tried chicken escabeche? How about pibil pork? Come to Belize and try these and other delicious meals! Also try local rums and wine made from cashew fruit! 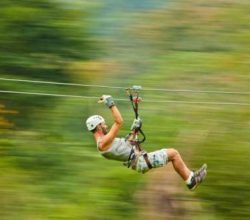 Belize offers a casual atmosphere, so there’s no need to dress up. Shorts and a t-shirt, or a comfortable flowing sundress, is always appropriate. The breeze is going to feel much better when you can feel it through nice, light fabrics. The warm weather and the frequent walks on the sandy beach make sandals the perfect daily shoe choice. The dining experiences in Belize allow for casual dress as well. A lot of the time you will be grabbing a beachside meal and a beer or cocktail at one of the many restaurants and bars.